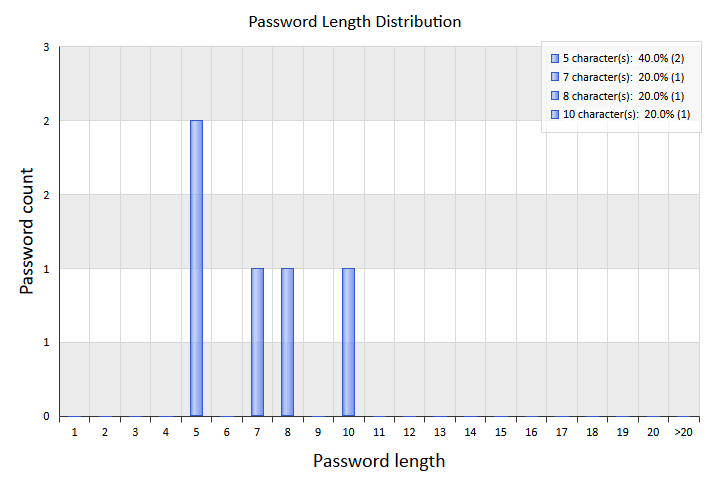 Password uniqueness - this report shows unique against reused passwords chart. Top reused passwords - displays the top 20 of the most popular passwords. Password recovery time - time took to crack a certain password(s). 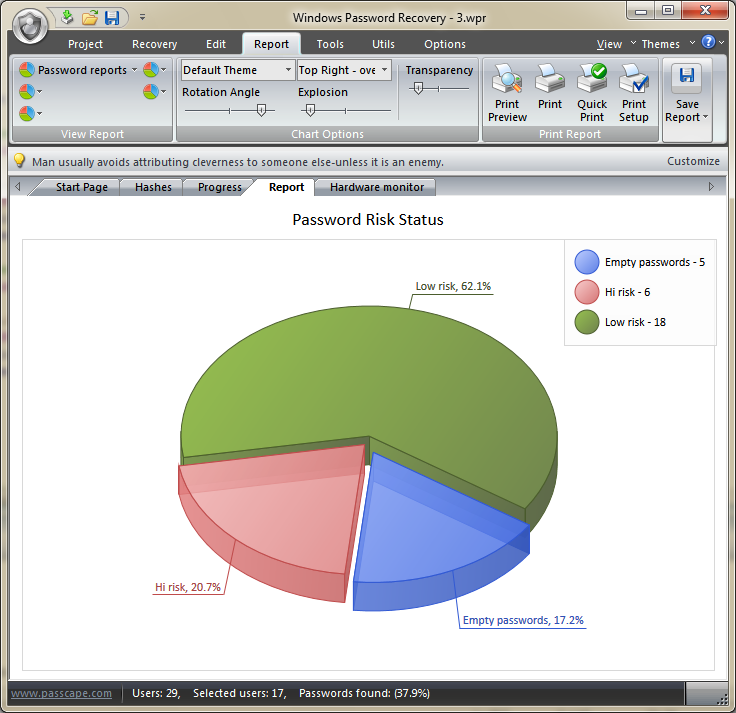 Most vulnerable passwords are marked in the red palette.